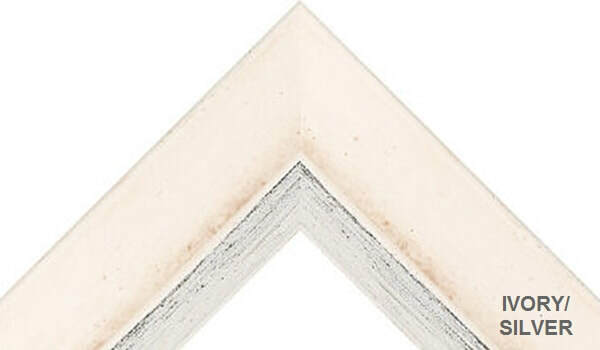 A washed white wood frame with a raised inner trim and outer edge in a worn pewter finish, ideal for when you prefer a simplistic frame whilst offering a splash of metallic colour complimenting numerous compositions. 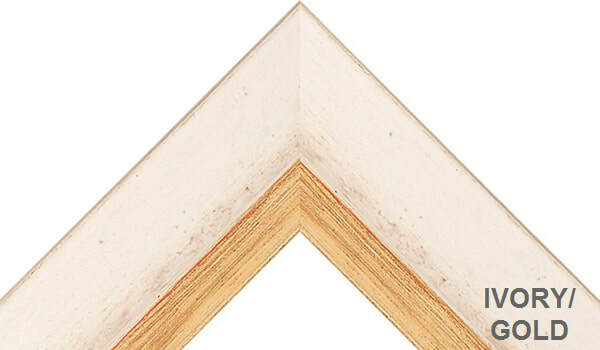 This frame avoids overpowering a composition and offers a fresh finish when hung. Also available in Gold & Silver and 2 wider widths of 70mm & 105mm - please ask for a quote if you require one of the wider sizes.